Defending Rights & Dissent and 25 other civil liberties and immigration organizations released an open letter to Congress calling on negotiators not to provide additional funding for border surveillance technologies as part of the “grand compromise” deal around border security. The letter specifies which technologies we are most concerned about, like algorithmic risk-assessment, facial recognition, and biometrics. Defending Rights & Dissent launched a petition campaign against the “smart” wall in January. Sign the petition here. Evan Greer, a lead organizer of the campaign with Fight for the Future. Erika Andiola, the Advocacy Chief for RAICES, a leading immigrant legal rights group. The House Democratic Conferees Proposal for Smart, Effective Border Security calls for funding various invasive surveillance technologies that would intrude on the liberties of travelers, immigrants, and people who live near the border. Given that funding of border enforcement is already at a historic high, we do not believe that additional funding is needed to further fund border technology. 1. Risk-based targeting: The proposal calls for “an expansion of risk-based targeting of passengers and cargo entering the United States.” We are concerned that this includes the expansion of programs — proven to be ineffective and to exacerbate racial profiling — that use mathematical analytics to make targeting determinations. All too often, these systems replicate the biases of their programmers, burden vulnerable communities, lack democratic transparency, and encourage the collection and analysis of ever-increasing amounts of data in order to generate risk assessments. We oppose the replication and expansion of risk-based systems that have exacerbated current racial disparities in immigration enforcement. 2. 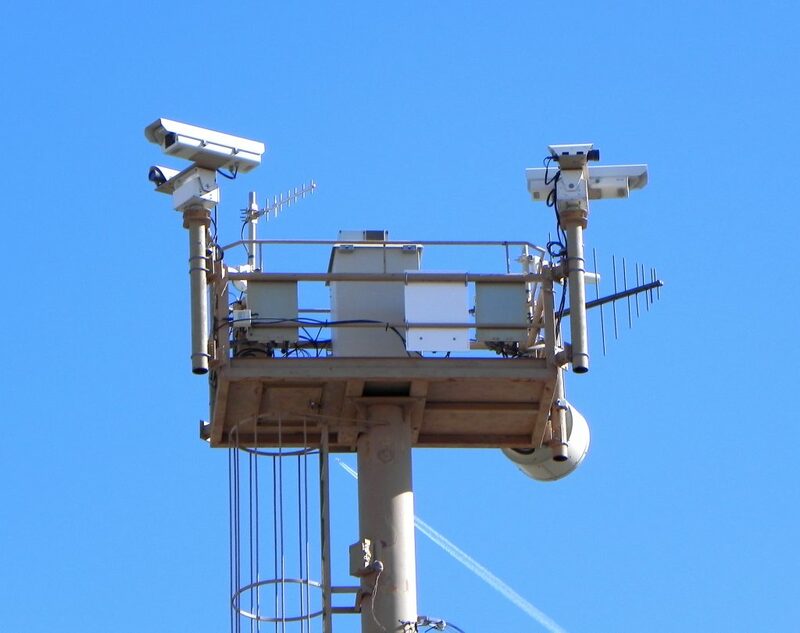 Mass surveillance: The proposal calls for “an expansion of CBP’s air and marine operations along the border.” We are concerned this means an increase in the deployment of aircraft with wide-area surveillance capabilities. Such aircraft, including unmanned drones, often include the power to capture the faces and license plates of vast numbers of people who live and work near the border. The government may scrutinize this personal information with machine-learning techniques susceptible to the same biases and problems listed above. Vendors already are applying artificial intelligence software to images captured by mounted cameras. Given the Department of Homeland Security’s particular history of using drones wastefully and irresponsibly, we do not believe there should be an expansion in their use. 3. Biometrics: The proposal calls for “new cutting edge technology” at the border. If that includes new face surveillance like that deployed at international airline departures, it should not. Senator Jeff Merkley and the Congressional Black Caucus have expressed serious concern that facial recognition technology would place “disproportionate burdens on communities of color and could stifle Americans’ willingness to exercise their first amendment rights in public.” In addition, use of other biometrics, including iris scans and voice recognition, also raise significant privacy concerns. We thus oppose new spending to enhance the use of biometrics by DHS. 4. License plate readers: We also are concerned that “new cutting edge technology” will include automatic license plate readers (ALPRs). These camera systems build a detailed database of where people are located over time. Border patrol has deployed ALPR systems not just at the border, but at interior checkpoints as far as 100 miles from the border, a zone within which two-thirds of Americans live. We oppose new spending to expand these interior ALPR systems beyond cars that actually cross the border. 5. Biometric and DNA data: We oppose biometric screening at the border and the collection of immigrants’ DNA, and fear this may be another form of “new cutting edge technology” under consideration. We are concerned about the threat that any collected biometric data will be stolen or misused, as well as the potential for such programs to be expanded far beyond their original scope. This list is not exhaustive and it may expand as the public learns more about the kinds of surveillance technologies that Congress may fund at the border. Indeed, we also express additional concern with proposals that involve persistent and expansive video and imagery surveillance, sensors, and other technologies that are likely to collect large amounts of personal and individualized information from travelers and border residents. Finally, we call on Congress to conduct robust oversight of government surveillance technologies already deployed at the border. While that oversight is ongoing, we should not expand these technologies with new funding. We urge Congress to ensure that even deployments of technology with existing funding be made contingent upon independent certification that the technology has efficacy and does not adversely impact privacy and civil liberties. We know that the border is often a testing ground for surveillance technology that is later deployed throughout the United States. Ubiquitous surveillance technology poses a serious threat to human rights and constitutional liberties. We call on Congress not to expand these invasive programs with new funding.